Many congratulations to Alex Ganose and Guanjie He, joint winners of the 2018 Faculty Postgraduate Research Prize, and to Bede Frank, winner of the 2018 Faculty Postgraduate Taught Prize. The 2018 Postgraduate Research Prize was jointly awarded to Alex Ganose for his outstanding achievements in his PhD in Chemistry. Guanjie He was the other joint recipient of the 2018 Postgraduate Research Prize. He for his outstanding achievements in his PhD in Chemistry. The 2018 Postgraduate Taught Prize was awarded to Bede Frank for his impressive work in his MSc Mathematical Modelling during the last academic session. “Bede's project supervisor commented "In my opinion Bede is an outstanding student. He showed analytical talent, maturity and commitment at the level of a PhD student". He has performed well beyond what is expected at MSc level; indeed, his project has been described as the perfect base for a publication in a very good mathematical journal. This project work, at the interface between pure and applied mathematics, is truly exceptional and one of the reasons that Bede so deserves this prize." “I'm hugely grateful to my girlfriend, friends and family for their support throughout my education to date. This prize marks the end of that journey - so far - and I am honoured to receive it. 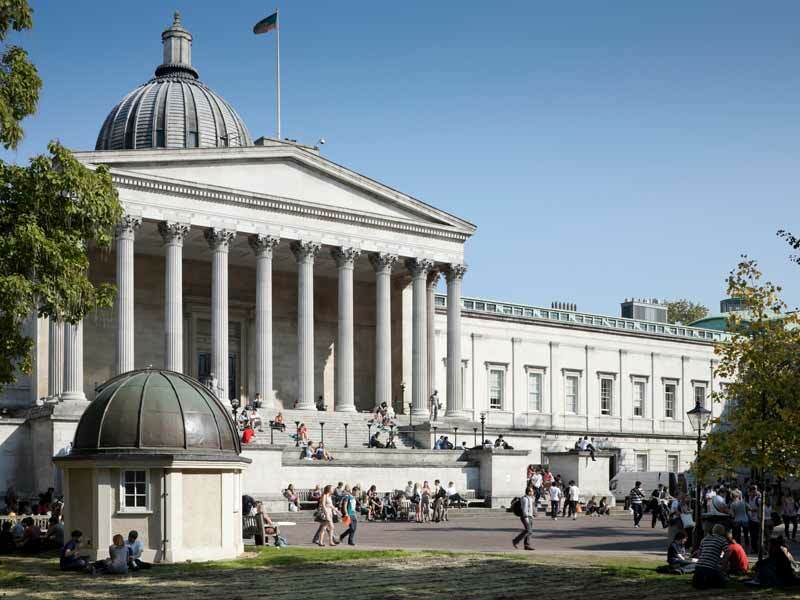 It is icing on the cake of a very positive experience at UCL and I am very grateful for the welcoming nature and excellent teaching of the department. For my final project, I studied the hydrodynamic model of collective behaviour; investigating the communal movement of many particles as a fluid rather than individuals. Under the supervision of Dr Ewelina Zatorska, I had the confidence to explore areas of maths that I had previously not studied. I'd like to take this opportunity to thank her for all of the support and guidance she gave me throughout the project and beyond; I could not have done it without her."